High-order EMA works great - but why? Hi, the input signal is sin(t), I multiply it with cos(t) to get the I component and sin(t) to get the Q component. So then I(t)=sin(t)*cos(t)=0.5*sin(2t) Q(t)=sin(t)^2 I would expect only the DC component to persist, but instead I have two quickly wiggling waves. 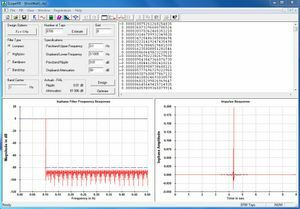 What is missing to shift 1kHz to DC without introducing the mirror frequencies? Thanks in advance! Why does it say "Toeplitz matrix, so we only need to calculate the first row and column of the matrix"?